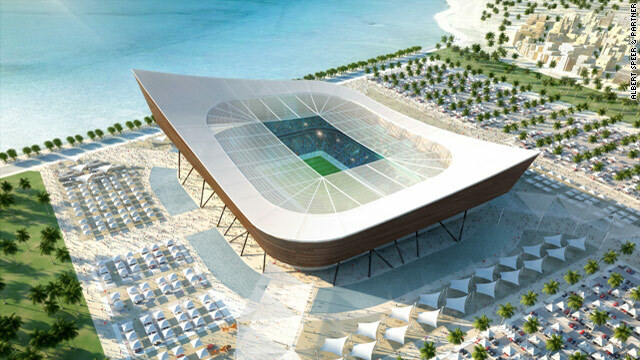 Qatar will host the 2022 event, beating bids from South Korea, Japan, Australia and U.S.
Russia and Qatar will host soccer's biggest tournament, the FIFA World Cup, for the first time in 2018 and 2022 respectively. Russia headed off 1966 host England and joint presentations from Spain-Portugal and Holland-Belgium in Thursday's vote at FIFA headquarters in Switzerland. 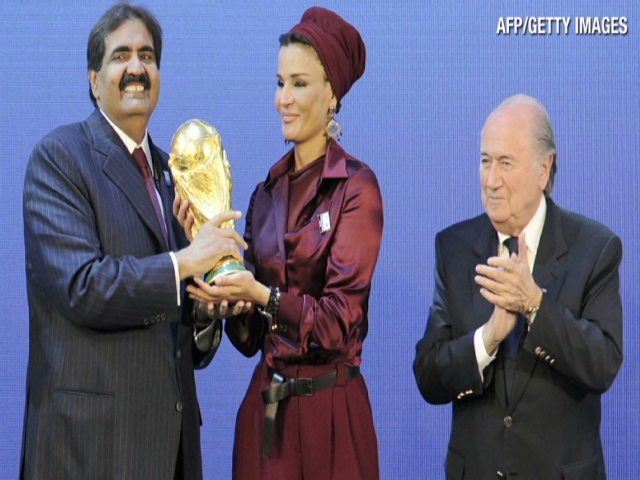 Qatar won the right to host the 2022 tournament ahead of bids from the United States, South Korea, Japan and Australia. Russian prime minister Vladimir Putin decided against attending the ceremony in Zurich, but his deputy Igor Shuvalov was present to accept the first successful bid from Eastern Europe. "You have entrusted us with the FIFA World Cup for 2018 and I can promise that you will never regret it. Let us make history together," he told the assembled delegates. Sheikh Mohammed bin Hamad Al-Thani, the son of Qatar's emir and head of the emirate's bid team, said he was looking forward to the first time a Middle Eastern nation hosts the event. "Thank you for believing in change, for expanding the game and for giving Qatar a chance. You will be proud of us - and you will be proud of the Middle East. I promise you this," he said. FIFA president Sepp Blatter confirmed that the ruling body's desire to grow the sport around the world played a big part in the committee's thinking. "I have to say thanks to to the executive committee because for 2018 and 2022 we go to new lands, because the FIFA World Cup has never been in eastern Europe or the Middle East. So, I'm a happy president when we speak of the development of football," he said. "But I have to give big compliments to all the bidders for the big job they have done and the messages they have delivered. All have delivered the message that football is more than just a game. Football is not only about winning -- it is also a school of life where you must learn to lose, and that is not easy." CNN's Moscow-based correspondent Matthew Chance said the decision had been received with great jubilation in Russia, where the government has pledged billions of dollars to build new stadiums and infrastructure. "This is a huge boom for the Russian economy -- it is going to mean tens of billions of dollars put into infrastructure and will give the country the incentive they need to meet their modernization plans," he reported.